I’ve been calling my current project “Blocks On A Plane”. I don’t think the title will stick though. It’s a puzzle game I’ve been cooking up for awhile now that involves shooting blocks to create polyominoes of various sizes and shapes. 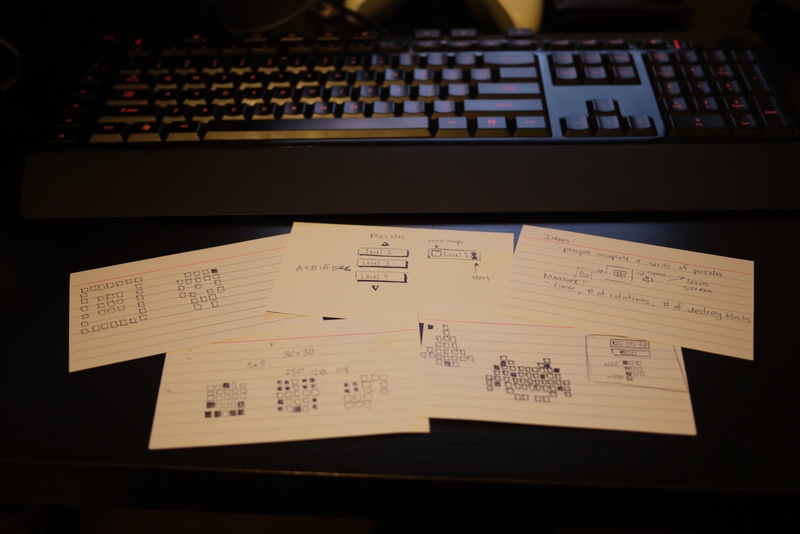 I don’t have a fully fleshed out design document, but I do have a bunch of cue cards scattered all over my desk with various ideas and designed puzzles. I’ll share some of them over time. There’s still a few important features I want to implement before I feel comfortable showing the game off to more people: the heads-up display, a level cleared screen and a save-load system.